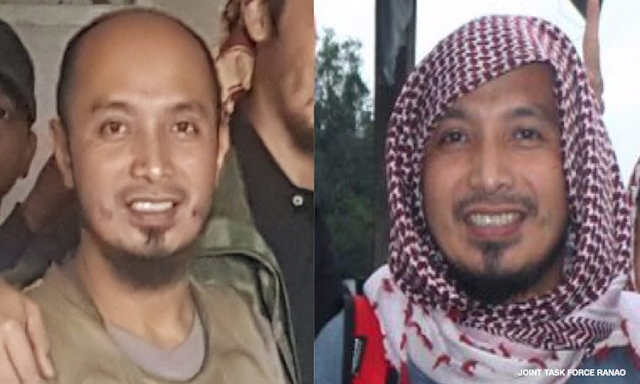 Abu Dar is believed to be the only terrorist leader who escaped when government forces took back Marawi in 2017. The 1st Infantry (Tabak) Division of the Philippine Army has confirmed that Maute leader Owaydah Marohombsar, alias Abu Dar, was one of the four terrorists killed in an encounter with troops of the 49th Infantry Battalion on March 14 in Tubaran, Lanao Del Sur. Authorities requested US counterparts to subject the then-unidentified body to DNA testing when informants initially identified it as that of Abu Dar, believed to be the only terrorist leader who escaped when government forces took back Marawi in 2017. He was regarded as the successor to Isnilon Hapilon, the "emir" of ISIS in Southeast Asia who was also killed in Marawi along with the Maute brothers. Also seized from the encounter site were an M16 rifle, an M653 rifle, a .45-caliber pistol, two grenades, several magazines and ammunition, and cellphones. Abu Dar is said to have been responsible for bombing the Limketkai Commercial Area in Cagayan de Oro in 2013, killing several people. He was also responsible for killing several soldiers, policemen, and Christians in Marawi City and Lanao del Sur. “We thank our US counterparts and the citizens of Lanao Del Sur for helping us neutralize the last remaining leader of the Maute-ISIS Group in the person of Abu Dar. We will not rest until we neutralize all the other remnants of this terrorist group”, said Colonel Romeo Brawner Jr., Commander of the 103rd Infantry “Haribon” Brigade.